The 317-352-30 Mitutoyo Uni-Mike Micrometer, 1-2"/25.4-50.8mm is on sale at Gaging.com! We are autho.. 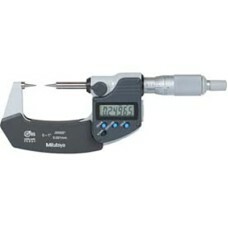 The 331-351-30 Mitutoyo Spline Micrometer 0-1"/0-25.4mm is on sale at Gaging.com! We are authorized.. The 331-352-30 Mitutoyo Spline Micrometer 1-2"/25.4-50.8mm is on sale at Gaging.com! We are authori.. The 331-353-30 Mitutoyo Spline Micrometer 2-3"/50.8-76.2mm is on sale at Gaging.com! We are authori.. 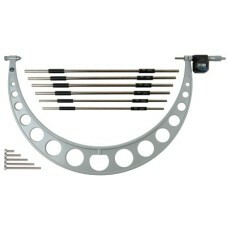 The 331-354-30 Mitutoyo Spline Micrometer 3-4"/76.2-101.6mm is on sale at Gaging.com! We are authori.. The 331-361-30 Mitutoyo Spline Micrometer 0-1"/0-25.4mm is on sale at Gaging.com! We are authorized.. The 331-362-30 Mitutoyo Spline Micrometer, 1-2"/25.4-50.8mm is on sale at Gaging.com! We are author.. The 331-363-30 Mitutoyo Spline Micrometer 2-3"/50.8-76.2mm is on sale at Gaging.com! We are authori.. 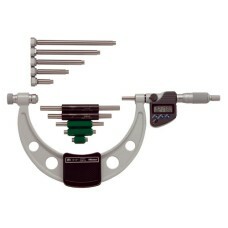 The 331-364-30 Mitutoyo Spline Micrometer 3-4"/76.2-101.6mm is on sale at Gaging.com! We are authori.. The 340-351-30 Mitutoyo Outside Micrometer with Interchangeable Anvils 0-6"/0-152.4mm is on sale at .. The 340-352-30 Mitutoyo Outside Micrometer with Interchangeable Anvils 6-12"/152.4-304.8mm is on sal.. The 340-720 Mitutoyo Outside Micrometer with Interchangeable Anvils 12-18"/304.8-457.2mm is on sale .. The 340-721 Mitutoyo Outside Micrometer with Interchangeable Anvils 18-24"/457.2-609.6mm is on sale .. The 340-722 Mitutoyo Outside Micrometer with Interchangeable Anvils 24-30"/609.6-762mm is on sale at.. 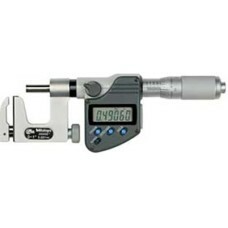 The 340-723 Mitutoyo Outside Micrometer with Interchangeable Anvils, 30-36"/762-914.4mm is on sale a.. 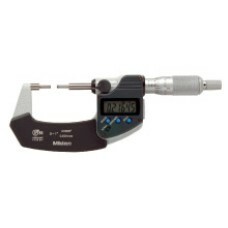 The 342-351-30 Mitutoyo Point Micrometer 0-1"/0-25.4mm is on sale at Gaging.com! We are authorized M..